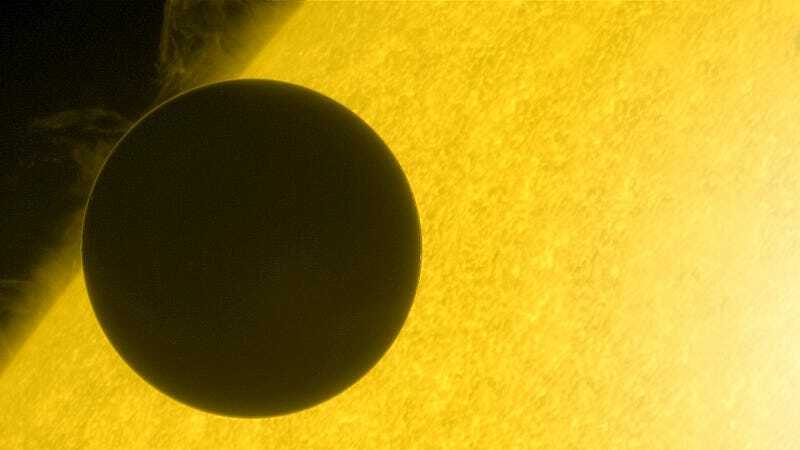 Not only this image wins the internet for the most amazing image of the Venus transit, but to me it's also one of the most impressive images in the history of astronomy and space exploration. The scale and the feeling left me in awe. Click to expand. This image has been adapted to fit the 16:9 format. It was taken by Hinode, a joint mission by the Japanese Space Agency (JAXA) and NASA.